he food service industry has been very good to Manuel Torres and his family. Initially operating a stand at the York Fair and strongly influenced by his sister who owned a catering business in Peru, Torres graduated from the Restaurant School of Philadephia and worked at some of the finest dining establishments in that city. Since 1987 when he opened the first El Serrano location in West York, it has truly been a family operation, allowing Torres and his sisters to work side by side, along with head chef (and their cousin) Manuel Ayala, who has been with them since the beginning. 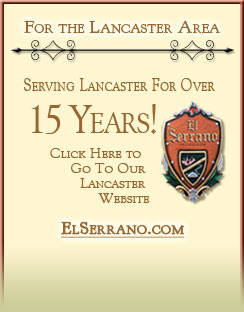 In 1989, El Serrano relocated to East York and in 1994, Lancaster reaped the benefits of the family's culinary tradition when Torres opened a second El Serrano along Columbia Avenue. 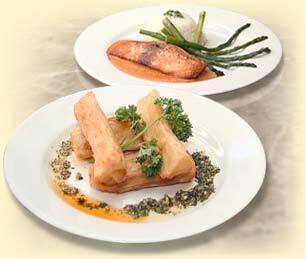 Extensive interior and exterior renovations of the Lancaster eatery got underway in 2000 and were completed in early 2004, essentially transporting the visitor to the owner's native homeland. Yes, the food service industry has been very good to the Torres family--or perhaps, it is the Torres family that has been very good to the food service industry.